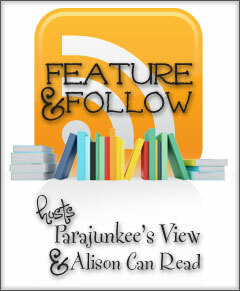 First things first…what is the Feature & Follow Blog Hop? Well, it’s a weekly meme hosted by Rachel @ Parajunkee and Alison @ Alison Can Read. The meme helps to launch new book bloggers and also makes it easy for quite a few already established (and new!) bloggers to get together once a week and go on a commenting-frenzy. Make new friends, get in touch with old ones…it’s a win/win for everyone! Have you ever looked at a book’s cover and thought, This is going to be horrible? But, was instead pleasantly surprised? Show us the cover and tell us about the book. Thanks for visiting! Please follow via the Linky Follow widget below – my GFC widget no longer works. If you don’t care for Linky Follow, please use the feedburner, instead. If you follow here, I WILL follow back! Thank you! I agree, classic book with a terrible cover. Welcome to Literary Obsession, Jenni! 🙂 Thanks for stopping by, and I’ve hopped over to your place as well to return the follow. Have a great weekend. Hopping through. 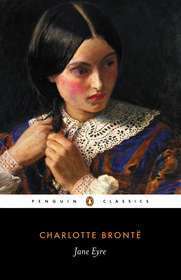 I agree that Jane Eyre – and most classic – book covers are very bland. Don’t like the cover either although I’ve never read anything by Jane Eyre. Following Linky, goodreads, and facebook. Hi Jennifer 🙂 Thanks for following, and I’ve gone to your place to follow back. Good to see you here again, Jessi! I popped over to your place to leave a comment for you. Happy weekend and all that good stuff. Just as an FYI – Jane Eyre is epic and awesome. It doesn’t really read like a classic…in that it’s not all stuffy and boring. It’s just a lovely romantic tale. I think you should give it a try! I really don’t like this cover either. I always find I have general dislike when it comes to covers for classics, actually; the only classic cover that I’ve liked is one for The Little Princess. Thanks for hopping by, Debbie. 🙂 I agree with you – the classics never seem to have great covers! My copy of Jane Eyre doesn’t have a very nice cover either but it’s definitely one of my favorite stories. Happy Friday! Yes, I totally agree about this cover. Meh. Thanks again for following me! NEW FOLLOWER. You’re quite welcome, Britta, and thank YOU, too! I just wanted to say hi! I found your blog through BBPOC. I agree with the Jane Eyre covers – they’re normally not that wonderful. But the book is great! I’m looking forward to reading more from you! New Follower! Unfortunately, I do have a weakness for pretty covers. I’m drawn to them, and disappointed if the story inside isn’t as beautiful.